The CSRF vulnerability is the most famous web vulnerability, since … I don’t remember, too long! Yesterday I fixed this vulnerability in my WordPress plugins and would like to share the same knowledge to other developers. 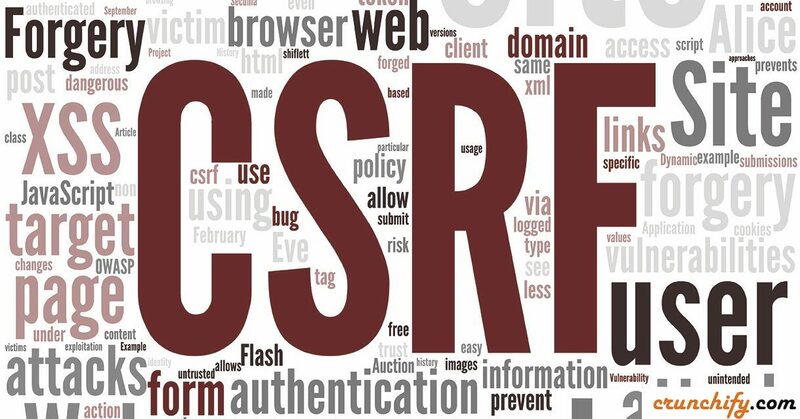 Lets 1st discuss what is CSRF? In a nutshell: Every request that change state on server should have CSRF protection. Using a nonce (Number used ONCE) is the best way to protect your plugin against a cross-site request forgery (CSRF) hacker-attack. Nonces are used on requests (saving options in admin, Ajax requests, performing an action etc) and prevent unauthorized access by providing a secret ‘key’ and checking it each time the code is used. According to http://codex.wordpress.org/Function_Reference/wp_nonce_field, the nonce field is used to validate that the contents of the form came from the location on the current site and not somewhere else. For the maximum security, the nonce is also time sensitive and it’ll expire. First create nonce using wp_create_nonce function and pass it along with your request. Verify nonce using wp_verify_nonce function. And that’s all! If you have more ideas, please don’t hesitate to share with us! Using a pentest (Tinfoil), it reports that my site’s wordpress wp-login.php (loginform) that it’s vulnerable to CSRF. I am using the latest WP 4.9.4 as of this typing. Hi Ed – that’s not good. Can you provide list of plugins you are using on site? Also, screenshot from pen-test? Awesome, I will definitely use this for all my websites. Great Cristian. Let me know how it goes developing your all sites. Hey Great website… I think getting addicted to checking for updates here… as I work more on wordpress too. And find out there some tips I will love to adopt…. Awesome. thanks for your kind words.